Cycling has been thriving in Spartanburg for years, and most cyclists have experienced the friction between cyclists and some motorists. Aggressive and distracted drivers, poor road conditions, loose dogs, and other hazards all increase the probability for a crash. Just think about how many encounters you’ve had in your last year. Just as it’s impossible to predict when a crash will happen, if it does happen, it’s difficult to be cool-headed and logical. While we can’t foresee a crash, we can prepare for one by brushing up on what you should do after one occurs. Adrenaline happens. You’re clipped by a car, they start to drive away, and your first, primal thought may be to scream at them and try to chase them down. While yelling may help get their attention, keep a cool head, and certainly DO NOT try to chase them down. Get yourself out of traffic, don’t worry about your bike, and then move on to the next step. If your bike is a wreck, it can be repaired or replaced. If you are injured, you need to get a quick reading on the situation, so that you can report it correctly. This is another reason you need to get to a safe spot – you need a moment to assess your head and body injuries – scrapes, bruises, cuts, and possible broken bones. Next, find your phone and handle the next important item. This is a common mistake where many cyclists can get burned. Even though you are not a driver, you must still make a police report, or a claim may not go anywhere. Remember, even if you don’t need the information for yourself. If you’re out on a ride, and a buddy is hit by a car, they may not be thinking straight. Help them out and make the call. Just as you would with a regular driving crash, it’s important to get as much information as possible from the driver of the car (if they stop). Even though you were on your bike, they were behind the wheel of a car, and the rules of the road apply to them. Obtain their license plate numbers, copies of insurance paperwork, and drivers licenses. If there are witnesses, get their names and contact information, including their phone number and email address. Ask if they might have any photos or video of the incident. Use your phone to get photos of all the paperwork, and make sure it saves correctly. Also, use your camera to document every detail of the crash scene. Take photos of the damage to your bike. Get pictures of any special weather conditions, street signs, or warning signs about bike paths or traffic. The Freewheelers also encourage the use of bike and/or helmet video cameras that record your journey while you are cycling. Then you will have footage that proves you were not at fault and not the aggressor. Don’t admit fault, don’t jump up and say you’re just fine – just get the information and wait for the police. Even if you feel like you don’t have any injuries at the moment, it’s entirely possible that you could have a head injury or something serious – and sometimes these don’t show up right away. Which leads us to the next step. Tell the attending officer what happened, and don’t try to minimize your injuries or be too stoic. If you insist to the driver and officer that you’re just fine, that the damages to your bike are nothing, and that it’s all no big deal – well, that can backfire on you later. Be honest about any injuries, and if the medical personnel advice that you go to the hospital for treatment, listen to them. They’ve dealt with more possible head injuries and broken bones than you have. Head injuries, in particular, should be taken very seriously. Traumatic brain injury isn’t always obvious at the time of the crash. Be honest with the medical personnel about helmet usage and/or damage. In the days following the crash, continue to get copies of any documentation. If you have any medical bills or records, make sure your retain copies. You’ll be following up with both your insurance company, as well as the driver’s insurance company. Here’s where it can get complicated. If you have auto insurance, you may be filing your claim through your auto policy. You can also request compensation for damages and medical bills from the driver. If it sounds overwhelming, it can be, which is why we recommend the next step. If the driver of the car is not responding appropriately to insurance company questions, or if your bills are going unpaid, it’s best to have someone knowledgeable on your side. A personal injury attorney can advise you on the ins and outs of who is liable for what, how long you have to file a claim, and how you should proceed in asking for compensation. Their experience means less work for you, and a faster resolution. No cyclist expects a collision with a car. Do your research before you begin cycling, and know what steps to follow if you’re involved in a crash that involves a vehicle. Stay safe, gather information, and follow up with medical professionals. Don’t hesitate to get professional help with your property losses and medical treatment, as well – it can be complicated to handle on your own. Scott Distasio is a bicycle accident attorney and founder of the Distasio Law Firm. His work represents his belief that all firms should provide outstanding service to their clients. Follow @scottdistasio on Twitter to see what legal wisdom he shares next. With the costs of gasoline, the urge to improve health, and growing environmental concerns, more people are using bicycles as a form of transportation. The number of bicyclists throughout the Palmetto State have climbed in recent years. 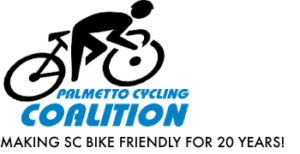 Because of the increased number of bicyclists on the roads, South Carolina has been called a proactive state when it comes to taking action to protect the bicycling culture. A new law passed in 2008 supports cyclist and is believed to be the predecessor for similar laws passed around the country since then. The new pro-bicyclist laws are designed to prevent harassment of bicyclists by motorists, allows bicyclists to use the road even when a path is provided, requires motorists to leave a “safe” passing distance when passing a cyclist on the road, and establishes civil fines for motorists causing “minor injuries” or “major injuries” to bicyclists. 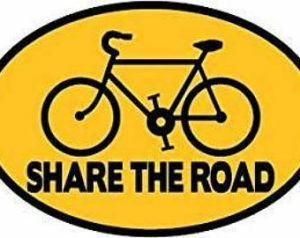 As a bicyclist, however, you do have responsibilities to adhere to the laws of the road. Even the most careful cyclists can end up in a crash. 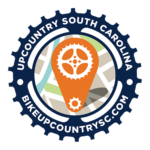 Protect yourself by following the laws of South Carolina and the City of Spartanburg when it comes to operating a bicycle. No bicycle may carry more people than for which it is equipped. Clinging to other vehicles while operating or riding on a bicycle is prohibited. A bicycle operator cannot carry any package that prevents him or her from having one hand on the handlebars. At nighttime, a bicycle must be equipped with a white light visible from a distance of at least 500 feet in front and red reflector in the rear that must be visible from all distances from 50 to 300 feet from the rear when directly in front of the lawful upper beams of motor vehicle head lamps. A bicyclist shall indicate signals properly, including right turns, left turns, stopping, and decreasing speed when safe to do so. Bicycles may be prohibited on controlled-access highways except for official duties or the performance of public works. These are just a couple of the numerous ways you can prevent crashes by cycling safely. South Carolina is one of only 13 states that does not have any helmet law requiring bicyclists wear helmets at all. The first thing to do is take care of your health. Many times bicyclists are injured but they don’t realize it at first. Can you look in every direction without feeling pain? Can you move both arms in all directions? How are your legs? It is wise to seek medical treatment because you could have suffered internal injuries that you are not aware of at the moment. Contact the authorities. Call the police and ask them to come complete a report. They will come to the scene of the accident to assess the situation. Be sure to give them your statement as well and make sure that it is properly recorded in the report. Document everything! Use a smartphone to take photos of the crash scene. Take pictures of any vehicles involved. Take photos of the damage to your bike. Photograph any injuries, torn clothing, and damage to vehicles and your bike. If your bike was equipped with a GoPro or a similar camera, make sure you save the video content. Trade information with everyone else involved in the crash. Ask for names, addresses, phone numbers, license plate information, and insurance policy information. Also, get the names, phone numbers, and addresses of any witnesses to the crash. Make the officer completing the report aware of any witnesses as well. Spartanburg Regional Healthcare Center, 101 East Wood St.
Mary Black Health System (now owned by Sptbg Regional), 1700 Skylyn Dr. The first thing you need to worry about is recovering from your injuries. After you are well enough, make sure your bicycle is completely repaired before you attempt to ride it again. *This article was provided by Personal Injury Help and was not written by an attorney. If you need any help after a bicycle crash, you should contact a licensed attorney in South Carolina.